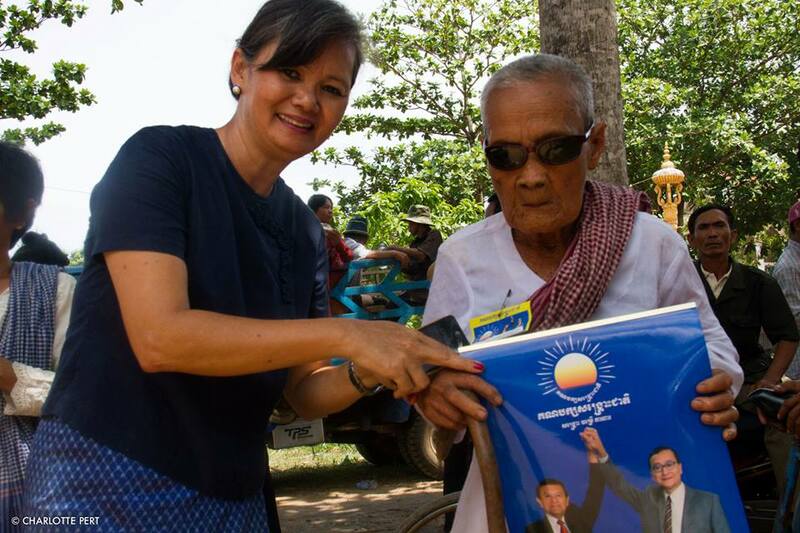 MP, Mu Sochua took up the issue in her campaign speech today. The minister of information is now saying that he is not aware of the ban because he is campaigning- hard to believe as the ruling party never acts without order from the top. They are feeling the heat:very strong reaction from faithful listeners of these radio stations that are very popular. 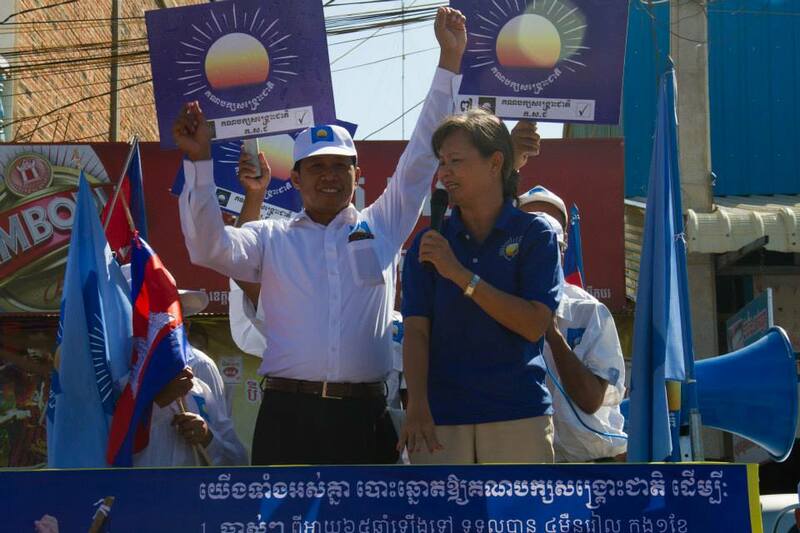 Cambodia National Rescue Party campaign kick off in Battambang town. We marched through the main streets and went to major markets. We expected 500 activists but close to 2,000 participated. 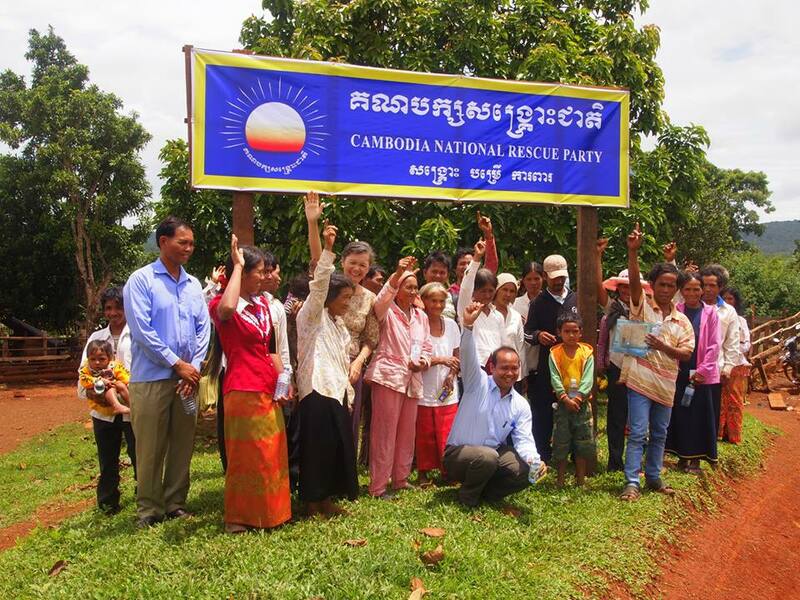 All 14 districts are moving the CNRP campaign forward in Battambang. Every day, we receive donations from the public. 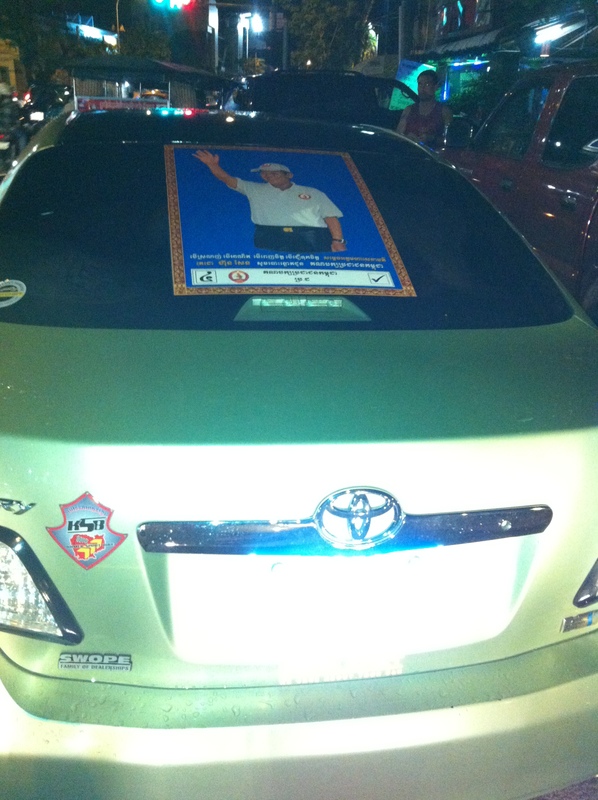 In the evening of June 26th, I spotted a car with a Royal Cambodian Armed Forces (RCAF) vehicle with a big size Cambodian People’s Party logo on the hood and a photo of prime minister Hun Sen on the trunk, South of the Monument of Independence in Phnom Penh. With prompt intervention from the military police, the owner of the car and the car were taken to the military police station at Khan Chamca Mon. 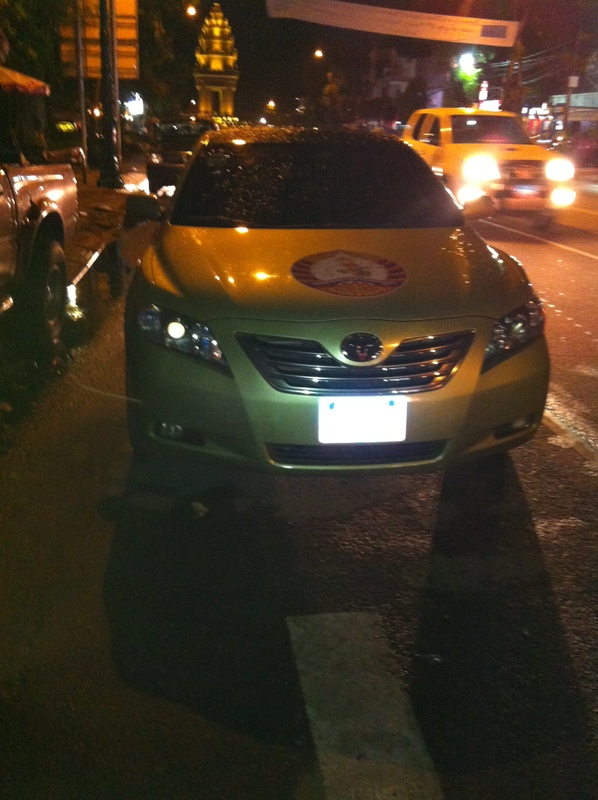 I will file a complaint against the owner of the car for breaking the Electoral Law. 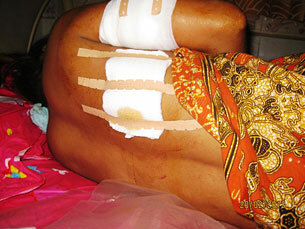 One of the 3 workers injured by the ex-governor. The question is: will the ex-governor serve his sentence? 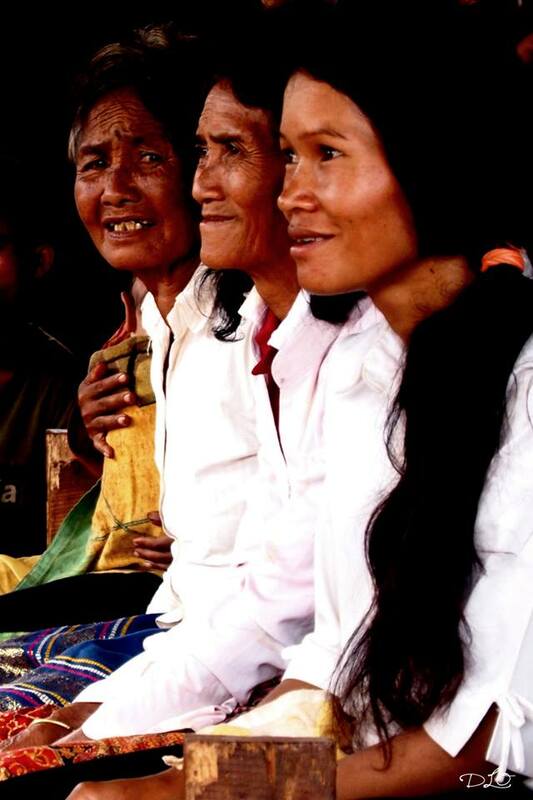 Villagers and supporters of CNRP-Bou Sra commune. It took me 59 years to get there. I am so moved by the tenacity, the courage and dedication of our Phnoung sisters and brothers to fight against all odds for change. Land is life and only Sangkrous Jheat can bring it back to them. Please help post and share widely. 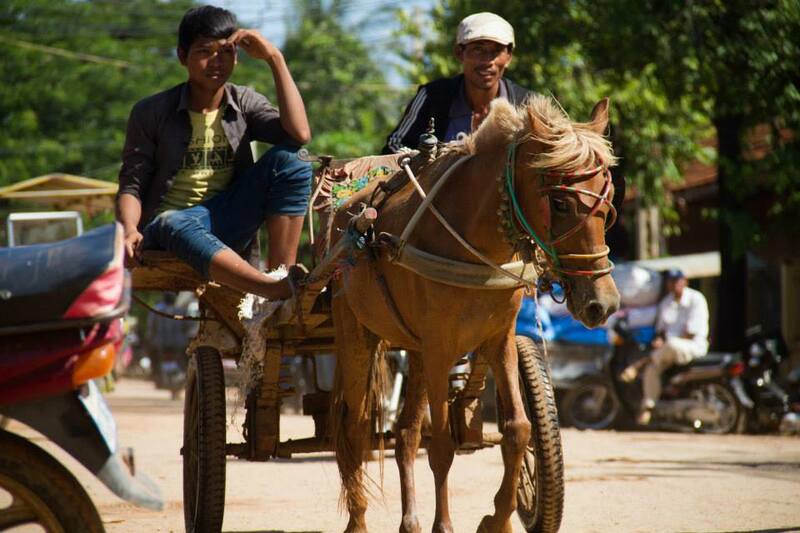 A US$25 award to the winner of CNRP Has Got Talents! Make your 1-minute video. 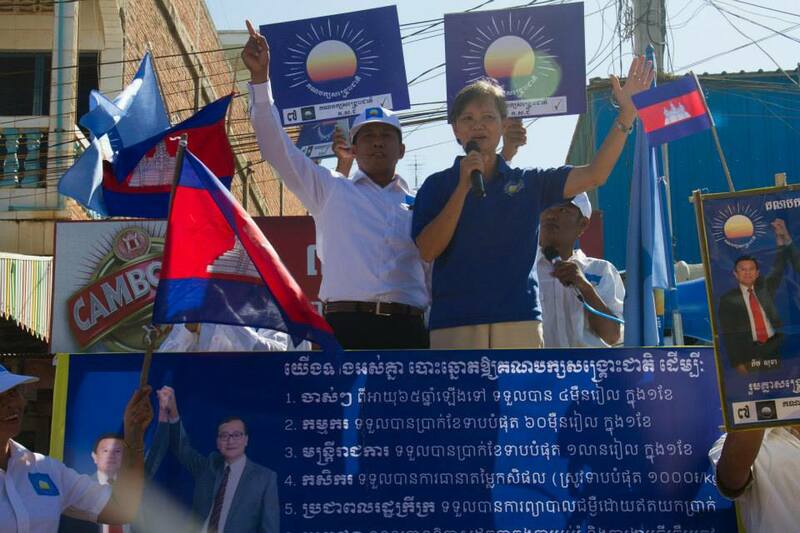 Take CNRP to places.